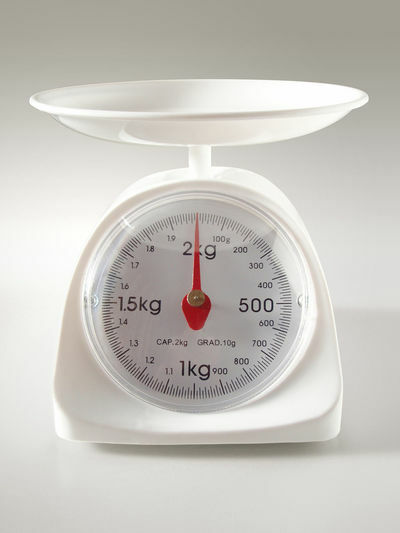 Do you use a kitchen scale to measure ingredients or do you use measuring cups? I like to use a scale to measure dry ingredients and a liquid measuring cup for liquids. Its not just easier to manipulate but its more accurate. I use a measuring jug - I've no room for scales. I brought a (nearly) square set of scales, from Myer's, about 8-10 years ago. My 2 daughters also have the same scales. I keep them in the pantry, on top of the jars or on top of the recipe books. I've only had to change the battery once or twice. I use the scales just about every night! I try to measure everything by weight. This is because volume changes depending on the temperature at which you are measuring. weights are much more consistent, and the best recipe books use them. 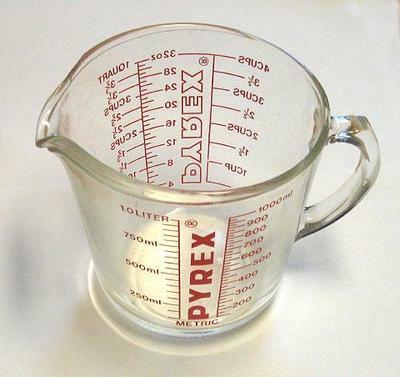 I usually use measuring cups. I don't use a scale as often as I should. I always use scales, if I didn't I'm sure I would muck it up. My mum is in her 80's but I can never remember a time when she couldn't accurately guess weights and measures. Whichever is THE easiest of various devices' to use at the time, if need be! Yes, I weigh out the food I'm cooking every night, because I'm making a different recipe every night. I have a set of scales, & a set of plastic measuring cups. Some things can't fit into the cups, e.g. spaghetti, so I use the cups for liquids, & rice mostly. I also have a glass jug, like the 1 in the photo, but I hardly ever use it. Why are lower back tattoos known as tramp stamps?